Located just 22 miles west of New York City, the small township of Glen Rock, NJ, is known for its outstanding schools (students are served by the Glen Rock Public Schools district), welcoming tree-lined streets, quaint downtown business district and strong sense of community fostered by a variety of annual events including a Fall Street Fair, Memorial Day Parade and Family Fun Fair. 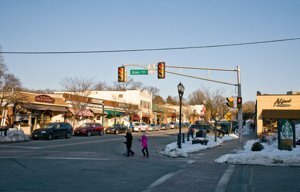 Glen Rock is also served by 2 train lines making it especially attractive to those commuting to New York City. From stately Tudors to traditional Colonials to charming Cape Cods, Glen Rock homes reflect the town's affluent Northern New Jersey setting. The housing stock here is very diverse. Be the first to know of new listings to the Glen Rock real estate market. Simply sign up for free email updates and you'll receive instant alerts as soon as new homes that meet your criteria come on the market. You'll also be notified of price changes for any homes you've already viewed. Listing courtesy of Realty Executives Exceptional Realtors, Butler.